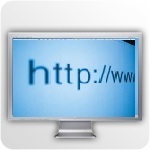 Set up your Website Link Redirection today! Contact us on (03) 9686 2288. Make it easy for buyers to find your home, by using an individual website domain name to incorporate in your property marketing material (sign board; flyer). Unique for your home, potential buyers follow the website link. Instantly, potential buyers have access to further details about your home online: photos, floor plans plus how to make an enquiry with you or your real estate agent. Doing so will allow potential buyers inspecting your home to easily access more information about your home. The advantage of using Website Link Redirection as part of your marketing is that it allows any potential buyer to immediately get instant access online to find out more about your property. Just think of the advantage you will have when you display a short, neat Website URL on your sale board at the front of your home. Super easy to enter, your potential buyers will be able to type in the URL in just a few short taps on their phone and have instant access to your property online. Social Property Selling can quickly and easily create your unique Website Link Redirection for you, totally customised and specifically created for your property. Click Here to Contact Us Today. Or call our office on +61 3 9686 2288 to speak to us about getting your own unique Website Redirection URL.